Every type of family: whether you have four grandparents or eight step-grandparents or two moms or two dads (or one or two of each! 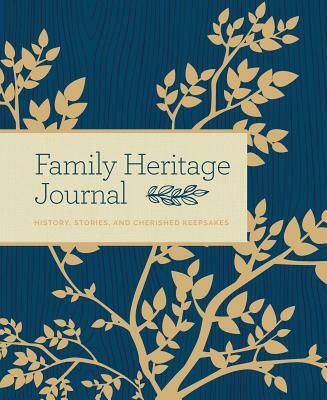 ), this journal is for you. Versatile and customizable it is the ultimate treasure chest for your family history—in all its iterations. Throughout the journal, each section allows multiple opportunities to add many branches to allow inclusion of all forms of family. Provides prompts to list all key family members, as well as extended or distant relatives and ancestors; and touching on distinct talents, accomplishments, noteworthy events. Charming illustrations and inspiring prompts and quotes make this guided journal a perfect gift for every member of the family. Beautifully designed and offering plenty of space for families to share their unique stories and keep a living record of memorable experiences. This is a memory book to keep forever.